Salomon Kalou revealed he had been practising penalties as he picked the right time to open his account for the season. The Ivory Coast forward's two goals helped Hertha Berlin earn a precious point in a pressure-cooker atmosphere at Borussia Dortmund that he says he thrives on. After cancelling out a Jadon Sancho strike towards the end of the first half with his first goal of the season, Kalou repeated the trick in stoppage time, converting a penalty to earn Hertha a 2-2 draw and ensure all his hard work practising penalties during the week paid off. "This week we shot so many penalties," said Kalou, whose brace made him the Bundesliga's all-time most prolific Ivorian with 41 - one more than Didier Ya Konan. "I was thinking 'well, after scoring all the penalties in training if you miss that one, then it's not worth it'. So I had to focus and I knew if I choose the right side and shoot the way I want, I have more chance to score." "When I put the ball down, I was thinking about being focused and shoot the way you want to shoot. If you miss, you miss, so I didn't have to think twice. I wanted to shoot to the right side and that's where I put the ball." Roman Bürki went the other way and Kalou was relieved to see the net ripple, and even more relieved moments later when the final whistle ensured his two goals had earned his side a point against the league leaders. "Today it was important to take one point because Dortmund is such a great opponent and difficult to play," Kalou said. "This year they are playing great football and scoring four goals every game, so we came with a good mindset to defend well and then take every chance that we have." Such a gameplan can be agonising for a forward, left watching on for prolonged spells as most of the action takes place at the other end of the field. 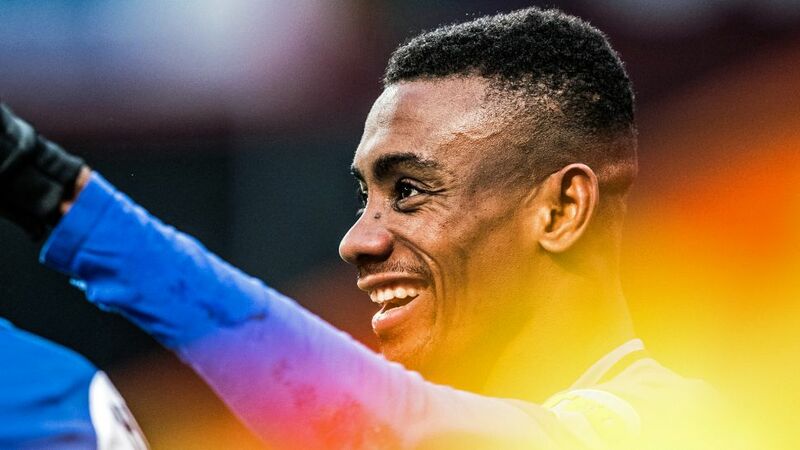 It is a situation that Kalou had expected at the Signal Iduna Park on Saturday, but not one he has any qualms about. "Against those kind of teams, you won't get a lot of chances," the 33-year-old said. "So if you get one, you have to be focused and ready to score the goal. I think I like this kind of pressure because it's a positive pressure, and every time I get in that situation I enjoy it more." Kalou's brace made sure Hertha still have only one league defeat this season, and meant the former Chelsea attacker - who got 12 Bundesliga goals last term - is finally off the mark in 2018/19. "It always feels nice to score against Dortmund because they are a great team," he said. "Scoring my first goal today was kind of like I was waiting for this for nine games now, so it came at the right time."